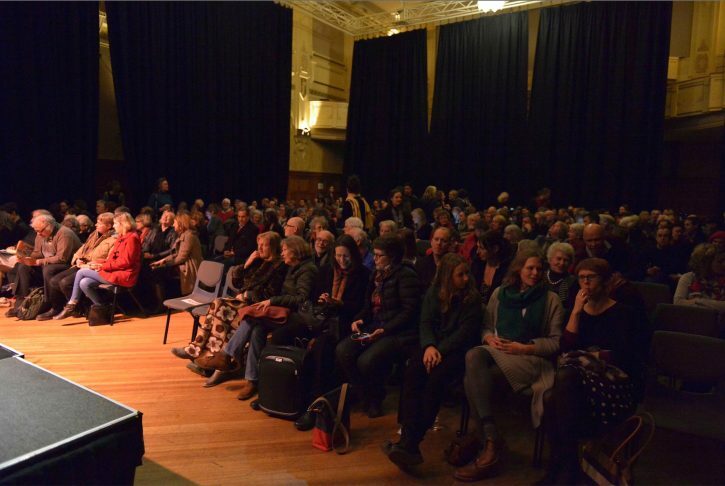 This public playback panel performance drew over two-hundred and seventy people to Northcote Town Hall; one of Melbourne Playback’s largest ever public theatre performances. The event created the space to hear stories from the community about the many ways people react and want to act on this enormous issue. 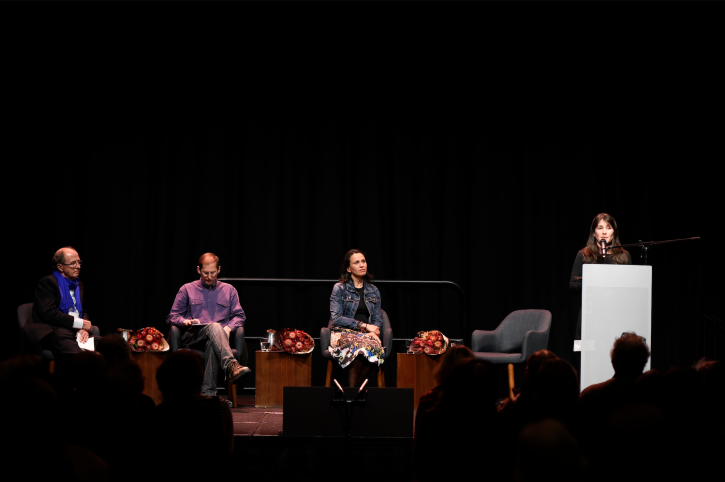 This event was rich because it crossed between both intellectual, practical territory and the justifiably strong emotions that many people have around this issue which brings with it such threat. 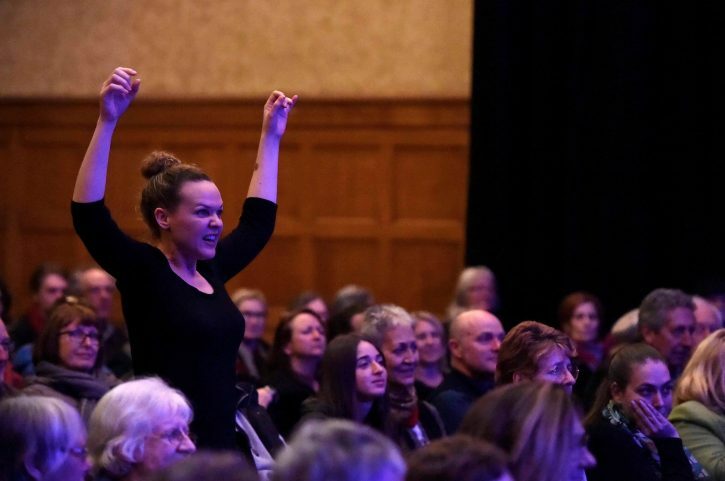 The performance was often at its most moving when people spoke of many things they love deeply, such as their children and the places they have connections with, in context of the threat of runaway climate change. 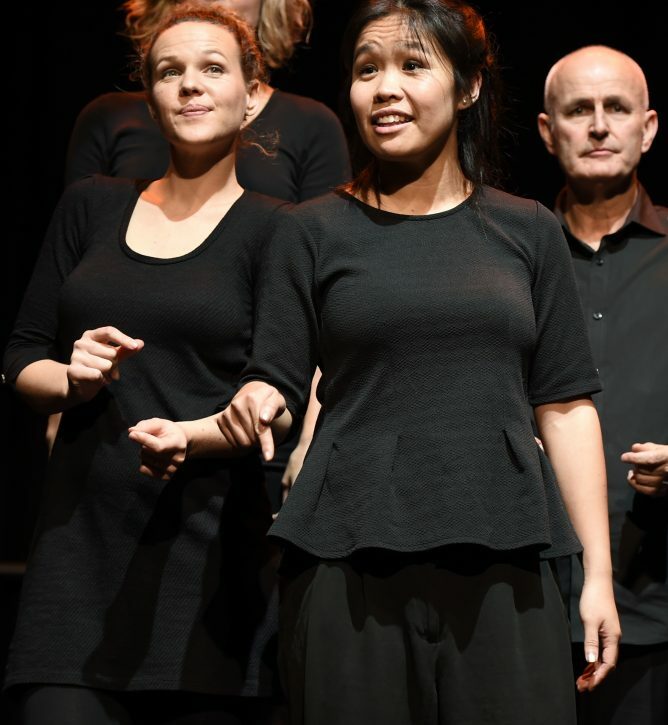 The impacts audience members have already seen in their environment, on their lives and sense of purpose. People’s journeys through fear, despair, motivation, involvement and reflection. The event was supported with the volunteer efforts from the dedicated team at Darebin Climate Action Now. 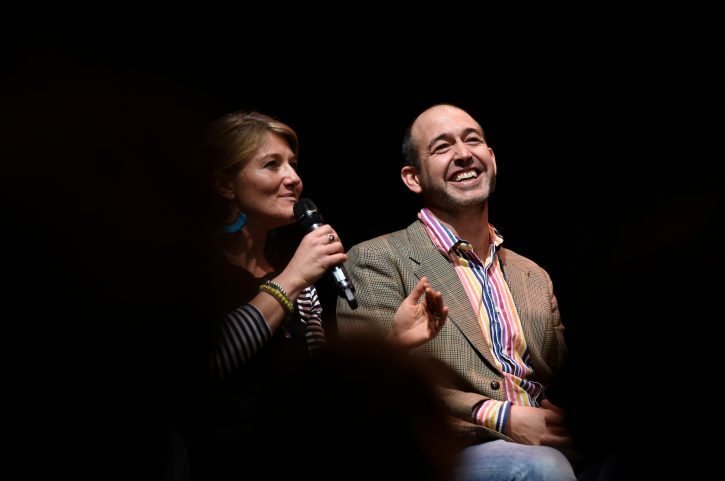 The Playback performance was preceded by three speakers; Lucy Best, Professor Rob Adams and Stephen Bygrave who brought their diverse experience to talk about how their work has contributed to implementing solutions and the path they’ve been on to become involved in the work they do.